Manchester United midfielder Andreas Pereira could have a battle on his hands to reclaim a first-team role under Jose Mourinho after deciding to pursue a temporary move to Valencia earlier in the summer. Both Pereira and McTominay had impressed the manager during the pre-season tour of the United States, but much to the disappointment of the Portuguese, the former opted to join Los Blancos on a season-long loan to enhance his gametime. 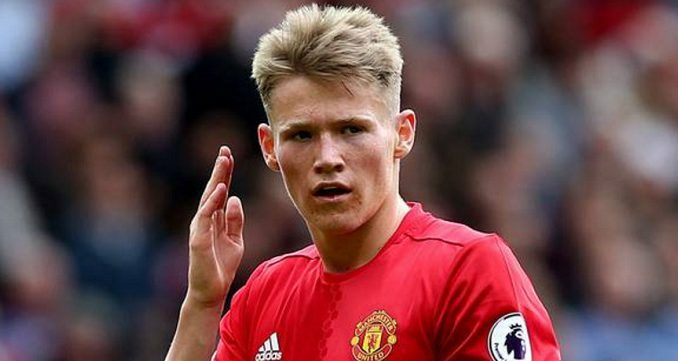 The move came as a blessing in disguise for McTominay, however, with the Anglo-Scot getting a promotion to the United first-team, where he has managed 15 appearances across all competitions this term. According to M.E.N, Pereira is unlikely to get an easy return to Old Trafford with McTominay having established himself as a regular in central midfield – amid the injury concerns to Ander Herrera and Marouane Fellaini. With Michael Carrick due to retire in the summer, Pereira could better his chances of featuring in the centre of the park, though M.E.N suggests the 22-year-old may have to occupy a bench role with Jose Mourinho certain to pursue a fresh recruit. Pereira signed a fresh extension until June 2019 prior to his loan exit last summer, but it will be interesting to see how he may react on his return, considering he is likely to be preferred after McTominay, who has become a Mourinho favourite of late.